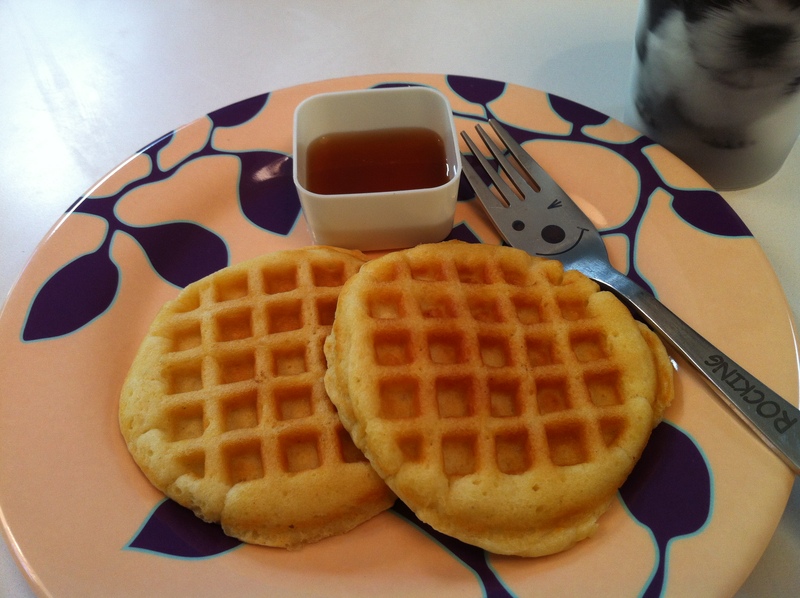 This is same recipe as pancakes, but made with Silver Dollar Waffle Griddle. You can also add some fun by using zoo friends pancake pan. In a bowl, mix pancake mix, egg, cream, canola oil, and vanilla flavor. Heat the silver dollar waffle griddle. melt 1/8T of butter on four of the waffle shapes and pour 1/4 of the batter on each. When the top starts to bubble, flip the waffle only once. Serve with Walden Farms Pancake syrup. For extra fat, top butter cubes on top to melt.